Roman Catholic Lectionary Readings from the New American Bible (All Souls). Preaching This Week at WorkingPreacher.org, Luther Seminary, 2017. 2014. 2011. 2008. Faith in Process, Bruce Epperly, 2017. "The Paradox of Honor," D Mark Davis, Left Behind and Loving It, 2017. "What Should I Do?" Kathryn Matthews Huey, Sermon Seeds, UCC, 2017. Ministry Matters, November 2, 2014. The Lectionary Lab, Pentecost 20, the Rev'ds Dr. John Fairless and Delmer Chilton (aka "Two Bubbas and a Bible"), 2011. Preaching Helps (Pentecost +21). Rev. Dawn Chesser, United Methodist Church General Board of Discipleship, 2014. Girardian Reflections on the Lectionary, Proper 26 by Paul Nuechterlein & Friends. Jesus Now, Proper (Ordinary) 31A, lectionary, study and worship resources from Faith Futures Jesus Then & Now. Rumors, for November 2, 2008, Ralph Milton, "Sermon helps for preachers with a sense of humor." Recommended articles from ATLAS, an online collection of religion and theology journals, are linked below. ATLAS Access options are available for academic institutions, alumni of selected theological schools, and clergy/church officesAnnotated list of "starting place" articles at ATLAS for this week's texts (includes direct links). "Words for a Time Such As This," Karoline Lewis, Dear Working Preacher, 2017. A Provocation, Richard Swanson, Provoking the Gospel, 2017. "23:4," Lynn Miller, Art & Faith Matters, celebrating our creative and living God by generating art and architecture resources for congregations and individuals. Art and Faith Matters facebook page contains additional resources. "You Are Holy (so act like it)," RevGalBlogPals, 2017. Don't forget Saturday Night Preachers Party!). "You Have to Walk the Talk," Todd Weir, With All My Soul, 2017. "For All the Everyday Saints and Sinners," Sharon Brezard, Stewardship of Life, 2017. "The Ending of Fences," Andrew Prior, 2017. Humbled and Exalted, Suzanne Guthrie, At the Edge of the Enclosure, 2014. "Saints in the hands of a humble heaven," Michael Anthony Howard, The Pacific Pilgrim, 2014. "Celebrity Preachers Beware!" Bob Cornwall, Ponderings on a Faith Journey, 2014. "Do As They Say, Not As They Do," Joel Shuman, Ekklesia Project, 2014. "Into the River," Andrew King, A Poetic Kind of Place, 2014. "The Politics of Exalting the Humble," Richard Beck, Political Theology Today, 2014. "Working for the Kingdom," Christopher Burkett, PreacherRhetorica, 2014. "There To This Day," Lynn Miller, Art & Faith Matters, celebrating our creative and living God by generating art and architecture resources for congregations and individuals. Art and Faith Matters facebook page contains additional resources. "Good Leaders Are Good Followers," Steve Goodier, Life Support System, 2014. "Humility against Despair," Bob Stuhlmann, 2014. "Do As I Say, Not As I Do," Alyce M. McKenzie, Patheos, 2011. Sermon Notes for September 25, Michael Rich, In-Formatio, 2011. "The Truth about Freedom," Sharron R. Blezard, Stewardship of Life, ELCA, 2011. "Your life will count for plenty," Neil Chappell, a weird thing, 2011. The Lord Giveth and the Lord Taketh, Bob Cornwall, Ponderings on a Faith Journey, 2011. "Contemplative Viewfinder," Melissa Bane Sevier, Contemplative Viewfinder, 2011. Dylan's Lectionary Blog, Proper 26. Biblical Scholar Sarah Dylan Breuer looks at readings for the coming Sunday in the lectionary of the Episcopal Church, 2005. "Joshua," Frederick Buechner Sermon Illustrations. Propio 26A, El Rvdo. 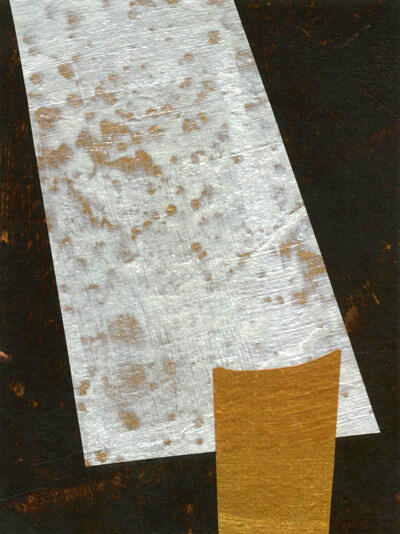 Antonio Brito, Sermones que Iluminan, 2014. Practice What You Preach, the Rev. Dr. Kris Lewis, Day 1, 2011. "What Should I Do?" Weekly Seeds, UCC, 2017. "God Makes a Way," Nikki Hardeman, Faith Element, 2014. Worship Planning Helps (Pentecost +21): Worship & Preaching Notes, Hymn Suggestions and Worship Resources from the United Methodist Church General Board of Discipleship. Mustard Seeds, "All Saints/What Is a Saint/Shining in the Dark," Proper 26/All Saints, 2014. A lectionary-based ideas resource for leaders of contemporary worship, Ann Scull. Liturgy for the Celebration of Life, Pentecost 20A. Liturgies from a Progressive/Post-Liberal Theology, Revd Rex A.E. Hunt, The Uniting Church of St James Curtin, ACT, 2011. Lectionary Liturgies, Ordinary 31, Thom M. Shuman, Presbyterian Church (U.S.A.), 2014. Lector's Notes, OT 31, Gregory Warnusz, Saint Jerome Parish, Bellefontaine Neighbors, MO. Notes and commentary for those reading this week's lectionary texts to the congregation. "Liturgy: prayer reflection", (NZBP) reflections on the collect at the Eucharist, Rev. Bosco Peters, New Zealand. BCP TEC and RC.CofE Common Worship. 21st Century Worship Resources, Pentecost +21, UMCDiscipleship.org. Offertory Prayers, Pentecost +21, UMCDiscipleship.org. Prayers of the People, Proper 26A, Fr. Jeremiah Williamson, Praying the Scriptures, 2011. The Timeless Psalms: Psalm 107:1-7, 33-37, Joan Stott, prayers and meditations based on lectionary Psalms, 2017. Prayers for All Saints Day and 21 Pentecost, Michael Anthony Howard, The Pacific Pilgrim, 2014. HermanoLeón Clipart, Ordinary 31, Free clipart, backgrounds, slides, etc. Clip Art Images: Matthew 23:1-12, Misioneros Del Sagrado Corazón en el Perú. Lord, You Teach Us To Be Humble, Carolyn Winfrey Gillette's new hymn celebrates Jesus' teaching on humility in Matthew 23:1-12. Tune: NETTLETON ('Come, Thou Fount of Every Blessing'). "In Times of Great Decision," hymn for election year by Carolyn Winfrey Gillette, tune: AURELIA 76.76 D.
"Let Them Come," Brenton Prigge, NewHymn. Psalm Settings by Dale A. Schoening, Metrical Psalms: Psalm 107:1-7, 33-37 set to Dix (77 77 77), Psalm 43 set to He Leadeth Me (LMD). "God's Steadfast Love Endures Forever" Sung Call to Worship for Psalm 107, from Anna's Hosannas. Hymn and Song Suggestions, Proper 26A, 2014, annotated suggestions from Natalie Sims, Singing from the Lectionary. Lectionary Hymns, Pentecost +21, UMCDiscipleship.org. Lectionary Puzzles, Proper 26. Word search puzzles in RTF or plain text, by Reg McMillan, St.Stephen's Presbyterian Church, Peterborough, Ontario. 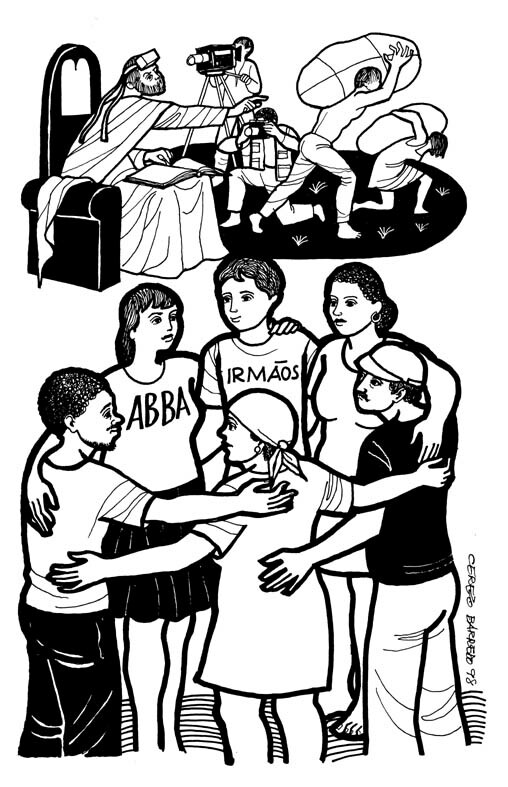 Worshiping with Children, Proper 26A, Including children in the congregation's worship, using the Revised Common Lectionary, Carolyn C. Brown, 2014. 2011. "Storypath Lectionary Links: Connecting Children's Literature with our Faith Story," , Union Presbyterian Seminary. Dollar Store Children's Sermon, John Stevens, 2017. "A Good Day Ends with Dirty Feet," Proper 26A, Frances Woodruff, On the Chancel Steps.